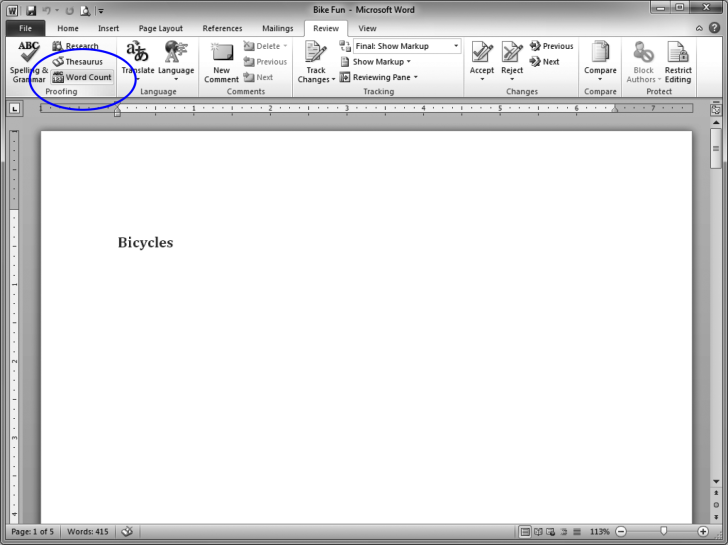 1 Open the document Bike Fun from the desktop. In the Ribbon, click Word Count. When the Word Count window appears, it should show 415 words. 3 Close the Word Count window.